Mark Bright and Trevor Scott Who's Who Update 1993 #1 The Green Lantern Corps Splash page 19 Original Art (DC, 1992). Mark Bright and Trevor Scott shine some green light on the intergalactic peace-keeping force, the Green Lantern Corps headed by the Guardians of the Universe in this pin-up page. 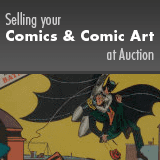 The art has an image area of 9" x 13" and it is in Excellent condition. Signed by Mark Bright at the bottom right.